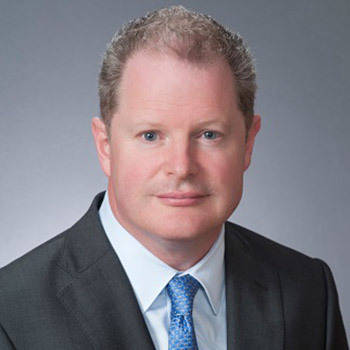 Mr. Bounds leads a global team responsible for Shell’s LNG strategy and portfolio, market access, the provision of commercial advice, gas advocacy and communications strategy. 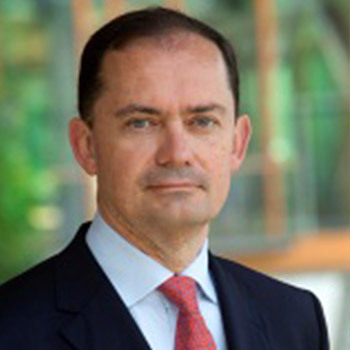 He was formerly General Manager Global LNG (2010-2012) and prior to that Vice President New Business Development for the Asia Pacific LNG market and Director, Shell Coal Seam Gas (2008 – 2010). In his time with Shell, Roger has been a key player in building Shell’s leading global LNG production, marketing and trading positions. Roger worked in the Australian and Victorian Governments before joining Shell in 1993. Mr. Varró has been appointed as Chief Economist of IEA in January 2016. He has worked at the IEA since 2011 as Head of Gas, Coal and Power Markets. Mr. Varró started his economist career at the National Bank of Hungary and from 2000-2005 he served as the Director of Price and Economic Analysis of the Hungarian Energy Office. Before joining IEA he has worked for MOL Group as Chief Economist and from 2008 as Director for Strategy Development. Goran Frančić, B. Sc. Petrol. Eng. (born on Feb 8, 1965) was appointed on March 1, 2017 on the position of Managing Director of LNG Croatia LLC, with main duties to speed up LNG project and to implement floating solution as a first phase of Migration concept of development of LNG Terminal. Tasks includes redesign of the project, preparation of tenders for purchasing FSRU vessel and building jetty with ancillary installation, closing financing and performing Open Season to reach Final Investment Decision, after which FSRU LNG Terminal will be build and in operation during heating season 2019/20120. From October 1, 2013 till March 2017 he was on the position of the President of BoD and CEO of MET Croatia Energy Trade Ltd., subsidiarity of MET Holding AG, Swiss based energy trading and supply company, active in CEE region. 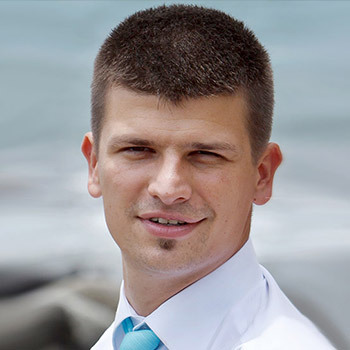 After left Plinacro, through period of May 2012 till October 2013, he was included in several EU financed projects as Project Coordinator and Project Manager (LNG Project, Ionian-Adriatic Pipeline project, South Interconnection Croatia – BiH). 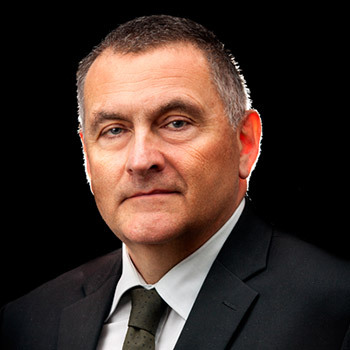 Until April 2012 he was Director of Development Division of Plinacro Ltd., Croatian TSO and parallel with that, from 2010 he was President of Board of LNG Croatia LLC., company in charge of development LNG solution in Croatia. He started his career as an engineer technologist in 1992 in the Gas Transmission Division of INA Plc, the national oil and gas company (Plinacro’s predecessor) where he obtained several roles and positions. Dr. Andrew Walker is responsible for the Strategy and Market Outlook of the marketing arm of Cheniere, located in London reporting into the President of Cheniere Marketing Ltd. Until recently (October 2015) he was Vice President for Global LNG, and prior to that Head of LNG Strategy, at BG Group, where he worked for over 20 years before joining Cheniere. During his career in LNG he as been located in Singapore, Egypt, the USA and UK and has worked on numerous LNG projects including Atlantic LNG in Trinidad and Tobago, Egyptian LNG, and Dragon LNG in the UK. Mr. Souki joined Tellurian as Senior Vice President – LNG Marketing and Trading in August 2016. He was most recently the VP of Finance and Business Development at Cheniere Marketing in charge of all middle and back office and finance for the marketing and trading group. Before Cheniere, Mr. Souki spent 14 years in working for various financial institutions including most recently at Credit Suisse in New York and London. There he specialized in power, energy, and mining corporate and project finance. He earned an MBA from the University of Southern California and a BA in Economics from the University of California, Irvine. Ramon has over 20 years of experience in banking, predominantly in project finance, acquisition finance, mezzanine finance and private equity. Ramon headed ING’s global NR offshore services team, leading transactions with FPSO and drilling rig companies. He was active at ING for more than a decade in leverage finance, mezzanine finance and minority private equity working across multiple sectors. In 2013 Ramon returned to ING’s Natural Resources team, where he currently leads project finance and acquisition type transactions in the Mid- & Downstream space. Ramon has ample experience in structuring LNG transactions and recently led ING’s deal team for the financing of the Bahrain LNG import terminal, which won a PFI deal of the year award. Mr. Woźniak worked at the Ministry of Finance and at the Ministry of Economy – between 2003−2008, when he led the Oil and Gas Department and was responsible for implementation of the act on mandatory oil, gas and fuels stocks and for securing Poland’s accession to OECD and IEA. He also represented Poland at IEA Governing Board meetings. He coordinated preparations ahead of implementation of the second package of the EU gas market liberalisation legislation and participated in the EU’s work on the third package. In 2008−2010, he was Prime Minister’s chief adviser on Energy Security and Secretary of the Prime Minister’s interdepartmental Energy Security Policy Team. He represented Poland in the V4 High-Level Group on Energy and the EC’s Group for the Baltic Energy Market Interconnection Plan. He supervised the pre-construction phase of the Świnoujście LNG Terminal project. He was on the team negotiating the intergovernmental gas supply contract between Poland and Russia. He resigned from the position of Prime Minister’s adviser only after the contract was signed in November 2010. In 2011−2013, he advised the Environment Minister and Chief Geologist on the geological and mining law reform. 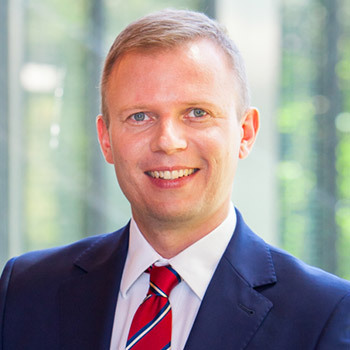 Máté Gerecs is a principal in BCG’s Budapest office. He is a core member of BCG’s Global Energy practice and Operations practice, and his client work focuses primarily on the energy sector across the Central and Eastern Europe region. Besides that he is currently an ambassador at the BCG Henderson Institute, supporting Christophe Brognaux senior partner’s fellowship research on the transition of energy markets. Mate is accomplished in all elements of the gas and power value chains, and he has worked on projects in a wide variety of energy topics, including strategy, regulation, corporate development, operational efficiency, and investment optimization. He joined BCG in 2006, and holds an MBA from INSEAD. 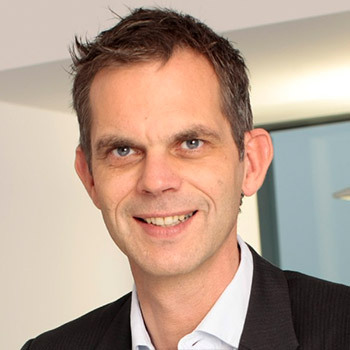 Mr. Lehel Szarapka joined the MVM Group in September 2016 as the CEO of MVM International AG in Zürich to manage the Group’s top priority international projects. Prior to that he spent 12 years with Alpiq in Switzerland building up the company’s Central, Eastern and Southeastern European wholesale and trading activities, being responsible for both the front as well as the middle-office. Mr. Szarapka holds a degree in Computer Science and is the author of 14 scientific papers on neural-, fuzzy-, procedural- and functional programming, as well as of 2 books. H.E. 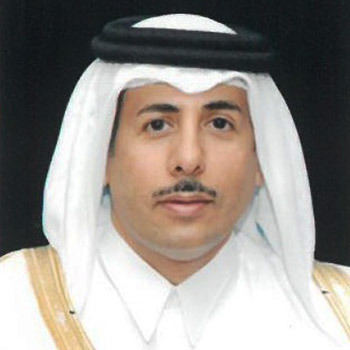 Shaikh Mohamed A. Althani is a former Minister of Economy and Trade in the State of Qatar. Previously he spent over eighteen years working in the oil and gas industry, mainly with Qatar Petroleum. He is one of the main founders of QatarGas and RasGas. His main activities now are consulting, energy research, and the GCC political economy, for which he is a visiting fellow at the Oxford Centre for Islamic studies. 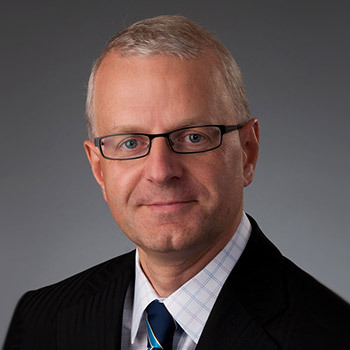 He is a board member of the London Business School global advisory board and a visiting board member of the Fuqua School of Business at Duke University. He holds a BAA in Industrial Management and Supervision from Central Michigan University, a Global MBA from Duke University, and a Senior Executive programme from London Business School. Shaikh Mohamed has authored two books; The Arab Spring and the Gulf States “Time to Embrace Change” and Jassim, the Leader Founder of Qatar. He is a well recognized figure in energy, investments and geopolitics involving the Gulf region. He is a respected figure in resolving strategic matters and serves as a facilitator when needed. 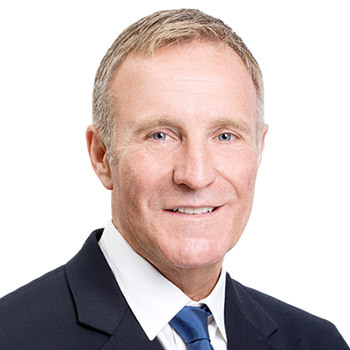 Peter is responsible for ExxonMobil’s natural gas and power marketing activities in Europe, Russia, Caspian, Australia, Malaysia and Thailand, as well as being responsible as Lead Country Manager for the company’s oil and gas affiliates in the UK. He is Chairman of ExxonMobil International Ltd. He was previously Vice President – Asia Pacific, Africa & Americas, overseeing the marketing of pipeline natural gas and natural gas commercialization efforts across the three regions. He has also been responsible for ExxonMobil’s 5GW global power portfolio and, as planning manager for ExxonMobil Gas & Power Marketing Company, was responsible for global strategy, planning and business analysis. 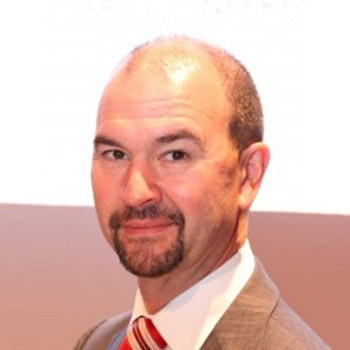 Peter joined ExxonMobil in 1987 and is a graduate in mechanical engineering from University College Dublin. 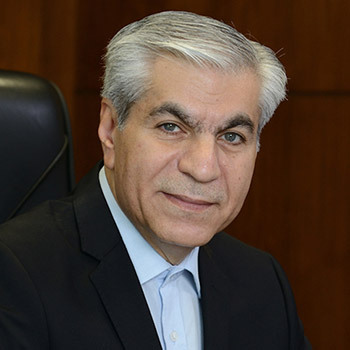 Seyed Mohammad Hossein Adeli is the Secretary General, Gas Exporting Countries Forum. He was Iran’s Deputy Foreign Minister for Economic and Energy Affairs, Governor of the Central Bank, Advisor to the President, Chairman, Board of Directors, National Iranian Gas Export Company, and Ambassador to Japan, Canada and the United Kingdom. He was instrumental to Iran’s post war reforms, Chief negotiator in many of its gas deals with Pakistan, India, Europe, Armenia, Kuwait and Saudi Arabia. Founder of the Revand Institute for Economic and International Studies, Dr. Adeli has a Ph.D. in Business Administration and a Ph.D. in Economics. 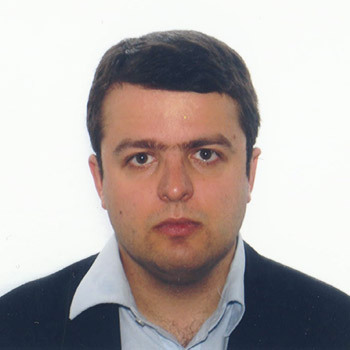 György Domokos Vargha has more than 8 years’ experience and a strong track record in the energy sector. Mr. Vargha works in MET International AG since its establishment in 2010. Previously he kickstarted the gas trading operations of METI as Head of Trading and later on headed the Wholesale and Origination activities of the company. As such he was responsible for the establishment of the LNG desk and MET Group’s wholesale activities in Italy, Austria, Spain, France and numerous other European countries. Mr. Vargha has graduated in the Business Administration faculty of the Corvinus University of Budapest. Mr.Aradszki is the member of the Hungarian Parliament from 2010, and he was elected as Secretary of State for Energy Affairs in 2014. As the Member of Parliament he works inter alia in the Committee on Sustainable Development, with strong commitment to climate protection, security of gas supply and renewable energy. From 1991 he acted as the legal counselor of MOL Group (integrated oil and petrochemicals company group operating in four countries, headquartered in Budapest) for 23 years. Mr Harmati is the owner and CEO of ZAG Consulting Ltd., an LNG consulting firm with focus on the CEE region. He is also CEO of Energen Plc dealing with utility scale energy storage, and member of the board of SPS Plc, a holding with stakes in power generation, related services and waste water treatment. Until 2016 he was Deputy CEO for Strategy and Director for International Relations at MVM Plc, the Hungarian Utility Firm. Prior to that Mr Harmati worked 20 years at Shell in various positions, with the last role being the Supply manager for Iberia, where he managed the delivery of the first Q-max cargo to Spain at the port of Barcelona. 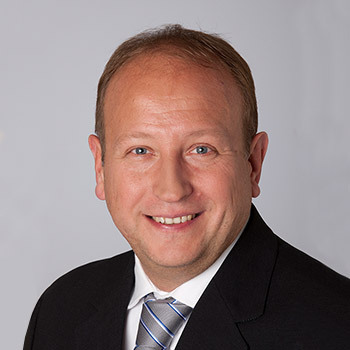 Mr. László Fritsch started his professional career at Shell. Between 2001 and 2003 he was the financial director of Shell Gas Hungary Ltd., following which he joined the international activities of the group and worked in several European countries. 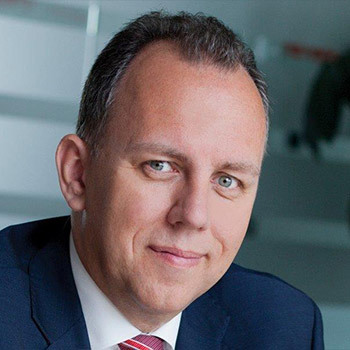 In 2006 Mr. Fritsch started his employment at the then German-owned E.ON Földgáz Storage Ltd., from 2009 he worked for the company as the financial director. In 2012 he became the member of the board of directors responsible for operation. 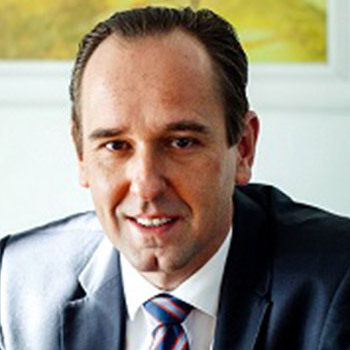 He assisted the preparation of the ownership change of the company in this capacity and after the Hungarian state acquired the shares, since 2013, he has been the CEO and the chairman of the board of Hungarian Gas Storage Ltd.
Mr. László Fritsch was elected to be a member of the GIE Board as of June 2016 while he also maintains his membership in the Executive Committee of Gas Storage Europe. Mr. Gyetvay worked in various capacities at a number of independent oil and gas companies in the United States where he specialized in financial and economic analysis for both upstream and downstream segments of the petroleum industry, as well as a former partner in PWC’s Petroleum practice based in Moscow from 1995 to 2003. From 2003 to 2014, Mr. Gyetvay was a member of NOVATEK’s Board of Directors and served as the Chairman on the Strategy and Investment Committee. 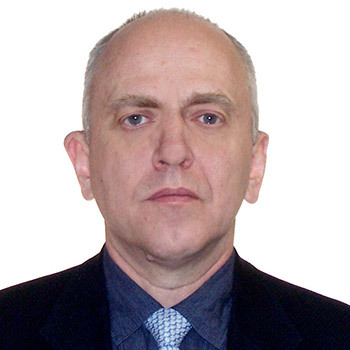 Since July 2010, he became Deputy Chairman of NOVATEK’s Management Board. He has been consistently recognized by Investor Relations Magazine as one of the best CFO’s in Russia and the CIS by winning numerous awards and accolades, and was recognized twice by Institutional Investor magazine as one of the Top Five CFO’s in Europe’s Oil and Gas sector. Mr. Gyetvay was recently the recipient of the Finance Monthly 2015 and 2016 “Best CFO – Russia” and “Game Changer Award – Russia ” 2017. Franc Žlahtič received a Ph.D. at the University of Ljubljana, Slovenia. After almost 25 years of practical and theoretical research and academic work with the Elektroinstitut Milan Vidmar, he moved to ministry for energy. During the Slovenian presidency of the Council in 2008, he chaired energy dossier. After living government administration, he collaborated with the Agency for the Cooperation of Energy Regulators (ACER), now he advice to Slovenian gas TSO Plinovodi. For many years, he is chairing the Slovenian World Energy Council. 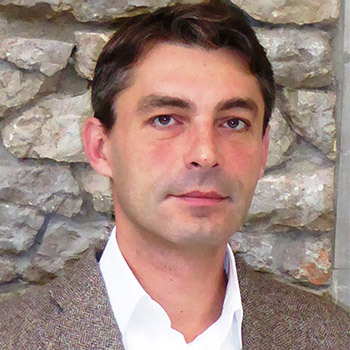 Péter Kaderják is the Director of the Regional Centre for Energy Policy Research at the Corvinus University of Budapest. He received his MSc in economics from the Budapest University of Economic Sciences in 1987. In 1998 he was appointed as Chief of Cabinet of the Minister of Economic Affairs and started to work on the liberalisation of the electricity and gas sectors in Hungary. In January 2000 he became the President of the Hungarian Energy Office, the national energy regulator. Between 2000 and 2004 he also served as the Chairman of the Energy Regulators Regional Association (ERRA), an association of energy regulatory institutions of countries from Central and Eastern Europe, the CIS and South East Europe. Since 2004 he has been serving as Training Director for ERRA’s in-house energy regulatory trainings. He is also directing a postgraduate program in Energy Economics at Corvinus University since 2010. 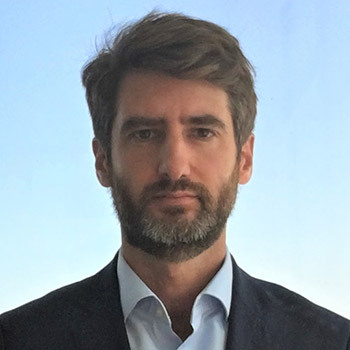 He is research partner in the “European Energy Institute” at University of Leuven and a regular lecturer at the Florence School of Regulation. He has directed several recent research efforts with regional relevance. In 2011 he was appointed as alternate member of ACER’s (Agency for the Cooperation of Energy Regulators) Board of Appeal. Jan is a key member of DNV GL’s global LNG network, he is in charge of developing DNV GL’s downstream LNG and LNG Bunkering business in Europe. Profiling and positioning DNV GL, assisting governments and authorities, ports and terminal operators, the O&G industry and ship owners to safely introduce an infrastructure for downstream LNG and LNG bunkering is his agenda. Prior to joining DNV in 2008, he started working in research and development of Flensburg Shipyard in 1996. To prepare the yard for the future, he engaged with LNG as fuel for ships back in 2007. Another key assignment was the project management of international research projects funded by the European Commission. He holds a degree in Naval Architecture from Hamburg University. 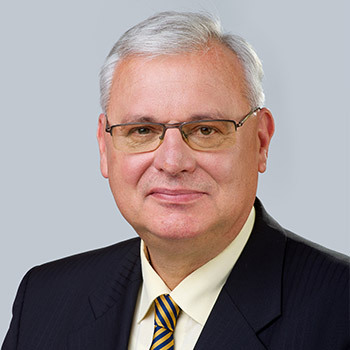 Milan Sedláček joined the gas sector in 1994. Since then he worked in various managerial positions in gas transmission part of Slovak gas industry. Since unbundling he works for the transmission system operator Eustream. At Eustream he was heading among others contracting and business development as well as regulatory and strategy issues. Currently is the head of EU affairs and strategy at Eustream. 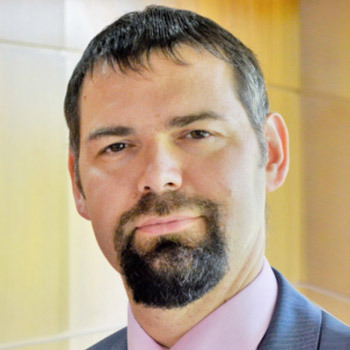 During his career within Slovak gas industry he was responsible for a number of projects dealing with gas transmission capacity sales, energy legislation development, TSO certification, EU and ENTSOG affairs as well as projects of interconnections with neighboring countries. Marta Babicz graduated from the Studies on Environment Protection, University of Warsaw, Poland, specializing in the Environmental Economics. In 2004 she joined the Polish office of non-governmental international organization where she realised several projects aimed at enhancing the implementation of EU law in Poland and public awareness raising in the field of environment and related infrastructure. From 2007 to 2009 she worked as an expert in the Department for Integration Policy in the Polish Office of the Committee for the European Integration, taking part in the negotiations of the EU legislation in the field of environment and energy policy. 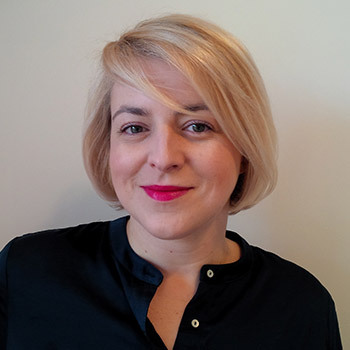 Since 2010 she has worked in the Polish Ministry of Foreign Affairs in the EU policy coordination team, where she has participated in the preparatory process to the Polish Presidency in the EU Council and was a member of the Polish Presidency team from July to December 2011. In 2012 she has joined the European and Regional Energy Policy team in the Department of EU Economics at the Polish Ministry of Foreign Affairs as Head of the Unit. She has been directly involved in elaborating Polish proposals for the Energy Union concept in 2014 and their operationalization in the recent years. She has also been active as a lecturer at the Polish School of Administration and the Colleague of Europe as well as a short term expert in the EU twinning project in the Balkans in the field of the EU energy policy. Stefan Moser was trained as an economist and a lawyer. He joined the Commission in 2000 in DG Competition to work on control of state aid to public undertakings and services, notably financial institutions. From 2005 to 2009, he worked in DG Environment on climate and environment policy, notably greenhouse gas emissions trading, transport emissions and air quality. From 2009 to 2015, he dealt with policy coordination in the Secretariat-General, in particular on climate, energy, environment, transport, agriculture and maritime policies. He was appointed Head of the Security of Supply Unit in DG Energy in March 2015. 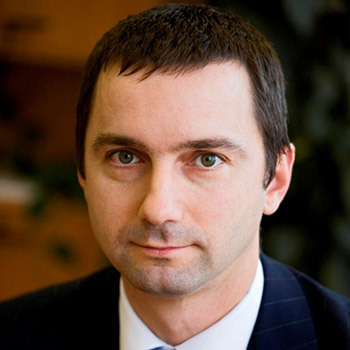 Mr. Coppoolse leads the Illiquid Gas Markets Origination of ENGIE Global Energy Management and the Managing Director of Engie Energy Management Ukraine – since January, 2013. Previously he was the Project Manager of Portfolio Management Integration in Italy, Rome for GDF SUEZ Branche Energy Europe, and earlier he was the Head of Capacity Development of GDF SUEZ Global Gas & GNL Supply Division. Before he also worked for Gaz de France Négoce as Head of Origination North/East, and Gaz de France, Direction Internationale as CEO ALG Négoce. 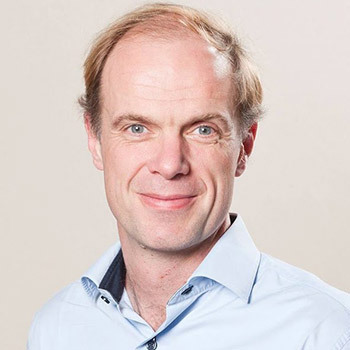 In the early 2000s he worked as Head of M&A and Project Development EDF Benelux, and as Sales and Business Development Director of EDF Benelux. 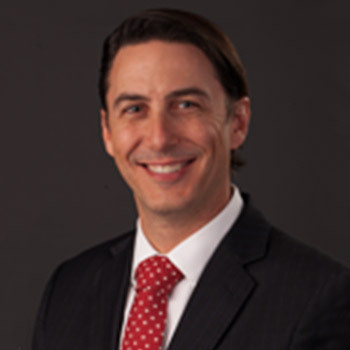 Amos joined Tellurian in 2017. Prior to joining the company, Amos served as the U.S. Special Envoy for International Energy Affairs and led the U.S. Department of State’s Bureau of Energy Resources. As the U.S. “Energy Diplomat,” Hochstein oversaw global U.S. energy foreign policy engagement and advised the Secretary of State and the Vice President of the U.S. on global energy markets. As Special Envoy, Hochstein led the engagement to strengthen Europe’s energy security through diversification of natural gas resources; authored the White House Caribbean Energy Security Initiative; chaired the President’s U.S. – Caribbean and U.S. – Central America Energy Security Task Force; led U.S. efforts to promote global fuel switching to natural gas and develop stronger natural gas markets throughout Asia and South Asia; and; Working closely with the Department of Defense, Mr. Hochstein led the U.S. efforts to diminish ISIL and other terrorist groups’ profits from energy assets. Prior to serving in the State Department, Mr. Hochstein served in a variety of senior level positions on Capitol Hill and advised energy companies entering and developing new markets. Currently heading activities of DEPA in gas wholesale, including pricing and commercial policy, having spent several years in planning and gas procurement in DEPA. Previously worked in design, development and consultancy roles in the chemical industry in the UK and Greece. Actively interested in market transformation and regional integration. Doctor of Philosophy in Chemical Engineering, with studies in Greece and the UK. Mr. Ságvári was appointed as Ambassador-at-large for energy security of Hungary in 2016 and he is also director general for emerging security issues in the Ministry of Foreign Affairs and Trade. Prior to his current positions he was director for energy policy in the Ministry of National Development between 2011-14 where he was repsonsible for working out Hungarian energy strategy. He was also coordinating regional energy market development projects such as North-South Energy Corridor, Hungarian-Slovak gas interconnector, Nabucco, South Stream, CEEGEX, CEEE Forum, V4 Gas Forum, Electricity Market Coupling. He started his career in the private sector. He also held different key expert positions in GDF SUEZ Hungary in the field of natural gas and electricity supply. 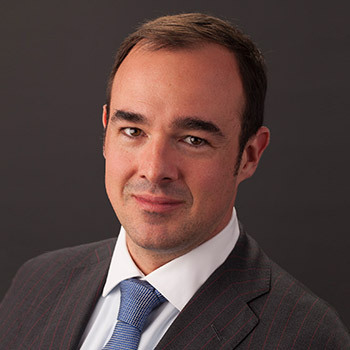 Ignacio de Calonje is Chief Investment Officer in IFC’s Infrastructure and Natural Resources Department, based in London, and has responsibilities over IFC’s Western European based clients in the natural resources sector. Prior to his current posting, Ignacio was based with IFC in Istanbul, Cairo and Washington DC. During his 13 years at the institution, Ignacio has led numerous equity, mezzanine and debt investments in the natural resources space in emerging markets. Before joining IFC, Ignacio worked for Lehman Brothers’ investment banking division in both London and Madrid, advising Spanish and UK corporate clients in mergers, acquisitions and debt capital market transactions. Mr. de Calonje has a Bsc in Business Administration from Universidad San Pablo-CEU (Madrid) and a Masters Degree from Columbia University (New York). Graduated from Janus Pannonius University, then took supplementary studies at the Eötvös Loránd University and the Haynal Imre University. He started his career at Tesco-Globál Rt. as a financial analyst, then he held Head of Stock Management and Dry Product Chief Procurement Officer positions. Thereafter, he was Commercial and Marketing Director at Plus Élelmiszer Diszkont Kft. He joined MOL Group in June 2009 as Chief Procurement Officer, and fulfilled the Director of Corporate Services position of the MOL Group from July 2012 until December 2016. Member of FGSZ Ltd Supervisory Board between September 2012 – 31st December 2016. Chief Executive Officer of FGSZ Ltd from 1st January 2017 and also member of the Board of Directors. 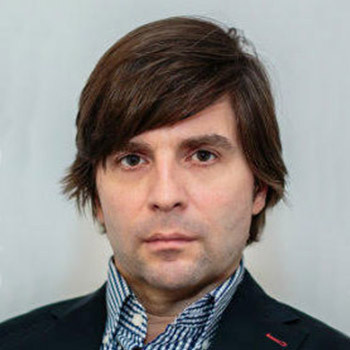 Director of the Development Division, GAZ-SYSTEM S.A.
Paweł Jakubowski is a graduate of the Warsaw University of Technology and Warsaw School of Economics. He is actively involved in gas and energy sectors since 2007, when he became an expert in Polish Ministry of Economy. He was responsible for an oversight of key diversification projects (LNG Terminal, Norwegian Supply Corridor) and natural gas market regulatory framework and analysis. In the period of November 2007 to January 2009 he worked in the Office of Research and Development in Polish Oil and Gas Company S.A. (PGNiG S.A.). Paweł Jakubowski joined GAZ-SYSTEM S.A. in 2009. He was involved in the development of the Company’s long-term strategy and LNG Terminal project. He was also responsible for organisation and development of GAZ-SYSTEM’s underground gas storage facility. 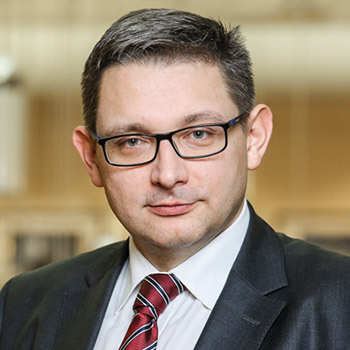 From January 2016, as Director of the Development Division in GAZ-SYSTEM S.A., Paweł Jakubowski is in charge of preparation and implementation of a long-term investment program for the gas infrastructure in Poland. It covers national transmission system, as well as other projects that are required from the perspective of SoS, market development, integration and competition: expansion of the LNG Terminal in Świnoujście, Baltic Pipe, FSRU at the Polish Baltic Sea Coast, cross-border interconnections with Lithuania, Slovakia, Czech Republic and Ukraine and an underground gas storage facility. As Director of the Development Division he is also in charge of supervising activities related to the European gas regulatory framework, international cooperation and business development in the area of small-scale LNG services, renewable gases and gas in mobility. Creation of a diversified, competitive and integrated natural gas market in Poland and Central-Eastern Europe is the most important task in his work. Senior Research Associate, Center on Global Energy Policy, Columbia University. 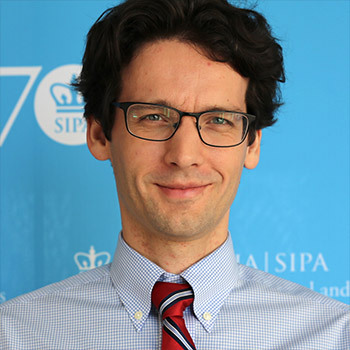 Akos Losz is a senior research associate at Columbia University’s Center on Global Energy Policy, where he focuses on global natural gas markets. 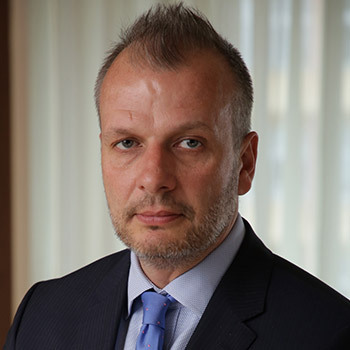 Prior to joining Columbia, Akos was senior analyst at the New York office of Douglas-Westwood, a UK-based global energy consulting firm. Previously, he had worked in the Strategy team of MOL Group, a Hungary-based international energy company, and completed internships at CSIS, a leading Washington DC think tank, and at PFC Energy (now IHS Markit). Akos holds an MA from Columbia University’s School of International and Public Affairs and completed undergraduate studies at the Corvinus University of Budapest in Hungary. Hesna Al Ghaoui is a journalist and former correspondent who covered mainly world affairs and reporterd from over twenty countries, including several war zones. She made her own television documentary series at the Hungarian Public Television called BABEL – The World with Hesna, which was focusing on exciting and important issues from all around the world. She won several awards with her reports, including the national Prima Primissima prize in press cathegory. She wrote a book about her war reporting experiences, and her her new book is about to come out in October, focusing on how fear affects our lives. Mr. Veleba serves as a Board member of Gas Infrastructure Europe, an association representing the interests of the natural gas infrastructure industry including Transmission System Operators, Storage System Operators and LNG Terminal Operators. GIE has currently 69 members in 25 European countries. As a Director at innogy Gas Storage, s.r.o., in the last ten years, Mr. Veleba is responsible for the sales and finance aspects of innogy´s storage business in the Czech Republic composed of 6 gas storage facilities representing working gas volume in excess of 2.7 billion cubic meters. In his previous roles at RWE Transgas, Mr. Veleba was responsible for developing market principles for the planned liberalization of the Czech gas market and a 5-year regulatory review. He serves as President of Gas Storage Europe, Member of the Board of Gas Infrastructure Europe and a Member of the Board of the Czech Gas Association. 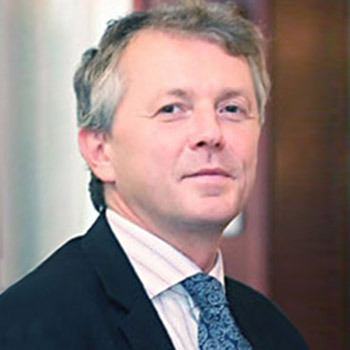 Mr. Micovčin started his career at the Ministry of Foreign Affairs – Middle East and Africa Department in 1994, after he worked for the Embassy of the Slovak Republic in Abu Dhabi (United Arab Emirates), than spent few years at Ministry of Foreign Affairs – Eastern European and Balkan Countries Department. Between 2001-2005 he was 2nd Secretary – DHOM at the Embassy of the Slovak Republic in Nairobi (Kenya), than CFSP Department, Deputy European Correspondent. From 2008 to 2009 he was the Counsellor – DHOM at Embassy of the Slovak Republic in Copenhagen (Denmark), than two years Counsellor – DHOM Embassy of the Slovak Republic in Berlin (Germany), than from 2011 to 2012 Director General for Economic Co-operation and ODA Ministry of Foreign Affairs. 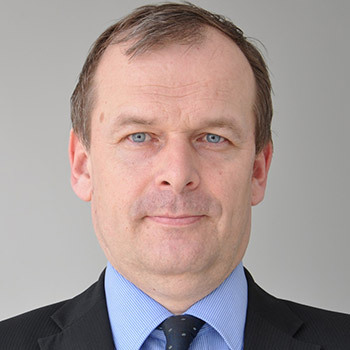 From May 2012 he is the Deputy Permanent Representative of the Slovak Republic to the European Union. 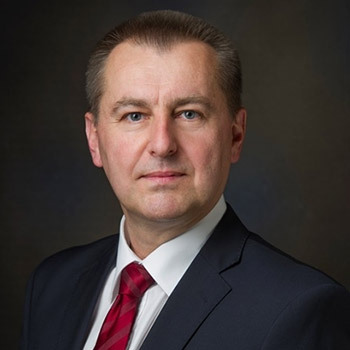 Mindaugas is the Global LNG Projects Director at KN and is overseeing new business development focusing on FSRU solutions as well as KNs advisory business arm. Since he started in KN in 2013, Mindaugas worked with the development and construction of the FSRU Klaipeda LNG terminal and development of new satellite LNG terminals in the Baltic sea. 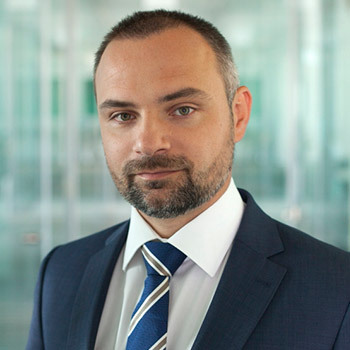 Before joining KN, Mindaugas worked with KPMG Advisory practice on new infrastructure project development. Diego Galimberti is the Head of LNG and Origination Western Med at MET International AG, based in the headquarters in Zug, Switzerland. 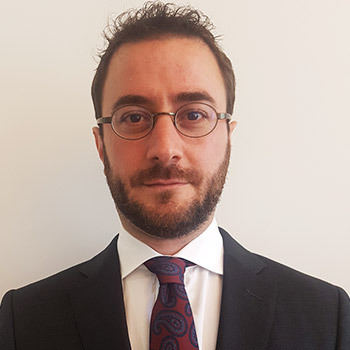 Mr. Galimberti leads the LNG desk and he is responsible to secure LNG for the Company’s portfolio of assets and to develop the LNG procurement and trading strategy. Mr. Galimberti has 15 years of experience in the LNG and gas industry and an has an academic background in mechanical engineering and power industry. Alain joined the EIB in 1997.He took up his appointment as Head of the EIB Group representation for Hungary in June 2016. Alain began his career at the EIB as senior loan officer in charge of investment project financing in Asia (Pakistan, Indonesia and the Philippines) before moving to the Central Africa team (Gabon, Sao Tome, Congo and Rwanda); he was subsequently advisor to Vice-presidents, head of the Institutional Unit for the Mediterranean Department and head of the Maghreb Division. 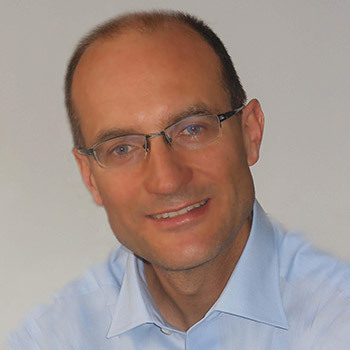 Before moving to Budapest, Alain was Head of the Banks and Corporates Division within the Western Europe Department (Benelux, France, Ireland and United Kingdom) since July 2013. 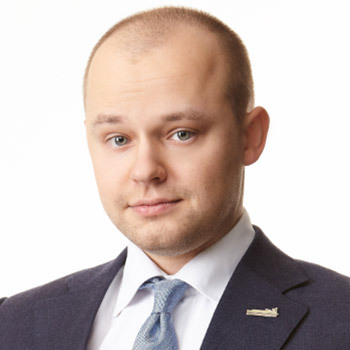 Michał is a member of the Warsaw Energy and Natural Resources Practice Team. 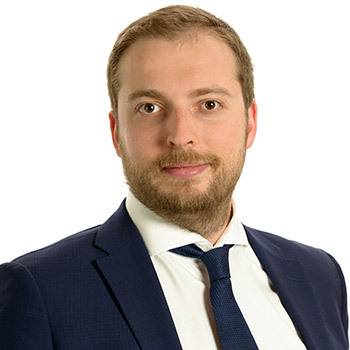 Michał specializes in particular in issues relating to the development of the EU’s internal market in electricity and gas and the implementation of the Second and Third EU Energy Package in Poland. He advises in complex cases including investment and M&A projects in generation and transmission infrastructure (FIDIC standard and tailored EPC contracts), both within and outside the EU, grid access and operation, and market strategies with regulatory components. He develops models for trading in energy commodities on regulated markets and in cross-border transactions. He has advised and represented energy sector enterprises before the Court of Justice of the European Union, the European Commission, Agency for Cooperation of Energy Regulators (ACER), national regulatory authorities in Poland (URE), Austria (E-Control) and the Czech Republic (ERU). He is often involved as expert advisor in dispute avoidance and dispute resolution cases including arbitration. Danila specializes in Eurasia energy and natural resources issues with a particular focus on the natural gas. Before joining EWI, Danila was an Inbev visiting scholar for EU-Russia relations at the at UCL/KUL universities in Belgium. He also worked on China and Central Asia affairs at the European Parliament and the Energy Charter Secretariat and frequently advises private sector companies and international institutions. A journalist and PR pro with over two decades of experience, Drew Leifheit is a correspondent for NaturalGasWorld.com. 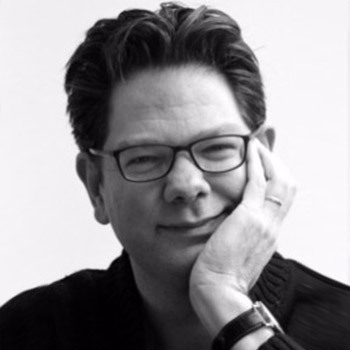 As an international journalist, Drew has also done reporting for a number of high profile print and broadcast outlets over the years, and has worked in marketing and communications at KPMG in Central & Eastern Europe for over 14 years. A fluent Hungarian speaker, he got his start in media as a radio reporter in Budapest in 1992. © 2017 BEST - Budapest LNG Summit. ALL RIGHTS RESERVED.